When it comes to heating a living space, nothing can compare to a real log fire. The crack and spit of burning logs and the hypnotic ambient glow of the flames create a fantastic focal point for any room while lending a warm and cosy atmosphere. Wood heaters and stoves have been around for centuries in one form or another. That they are still so popular today proves they remain one of the best home heating solutions that money can buy. Modern innovations such as glass doors, clean burning technologies and a choice of colours, materials and designs, mean they are not just an excellent heating option, they are great to look at too. For those who want the real thing when it comes to heating a living space, there are two main options: wood heaters and open fires. While open fires certainly have plenty of appeal, wood heaters are safer and also provide a combination of aesthetic appeal, ease of use, affordability and efficiency that other home heating solutions struggle to match. Which is best: Inbuilt or freestanding? Whether an inbuilt or freestanding wood heater is best for your home can depend on a number of factors. Freestanding heaters are an excellent option if you do not have an existing fireplace. They can easily be placed anywhere in the room that allows an exterior vent through a wall or the roof. They also tend to work well in larger living areas, though there are plenty of smaller options that take up the minimum of space while providing excellent heat output. Inbuilt wood heaters work particularly well in rooms with an existing fireplace and/or limited space as they can blend seamlessly into a wall. Of course your personal tastes and budget will also be a major factor. We can provide full advice and guidance on the perfect solution for your home. While wood heaters are simple by nature, new innovations have made them more efficient and easier to use than ever before. The latest in output regulation technology gives you precise combustion control so you can maintain the perfect temperature in your living space, while clean burning technology ensures the minimum of soot build-up so your fire is always visible. For larger spaces, many wood heaters offer multiple speed fan systems to ensure the heat is dispersed throughout your room or home. Add to this the excellent fuel efficiency and low carbon footprint of modern wood heaters and it is easy to see why they are such a popular option. High heat output – Many people are surprised by just how much heat modern wood heaters provide when compared to an open fire or older wood stoves. Even our smallest, most affordable models can effectively heat up to 150 square meters with burn times of up to 6 hours. 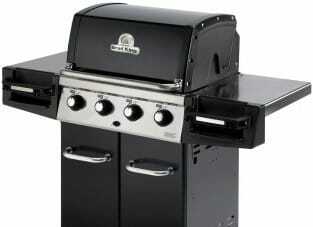 Larger models can heat twice that area with burn times of up to 12 hours. Despite advances in electric and gas home heating solutions, wood continues to deliver some of the highest heat outputs available today. 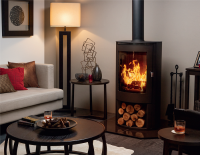 Aesthetic appeal – Wood heaters and stoves are a long-time favourite, not just because of the excellent heat they provide but also because they look great. From the more traditional look of cast iron models to more modern stainless steel heaters, they provide a wonderful centrepiece for any living space, whether they are freestanding or inbuilt. In addition, most modern models come with large, glass doors so you can enjoy the full aesthetic effects of your log fire. Value for money – Firewood is one of the most affordable home heating solutions available in Australia today. Not only are the heaters cheap to buy and maintain, running costs are very affordable. All of our models are extremely efficient and come with clear efficiency ratings to help you find to right heater for you. Environmentally friendly – Wood heaters are among the most environmentally friendly home heating options available in Australia. As a renewable energy source, wood has an extremely small carbon footprint and delivers very low greenhouse emissions. Our wood burners are not only good for the environment, the latest clean burning technology ensures the air inside your home remains safe, fresh and clean. 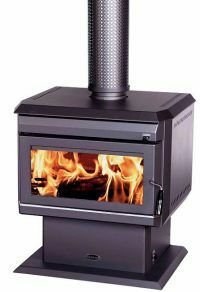 Easy to clean and maintain – We stock only the highest quality wood heaters. Built to last for years to come, all of our products come with 5- or 10-year warranties and are easy to clean and maintain throughout their lifetime. Easily accessible doors, grates and ash boxes make day to day cleaning hassle free, while we will give you all the advice and support you need for effective seasonal maintenance. If you are looking for all the benefits of a real log fire while heating your home cleanly, efficiently and economically for years to come, investing in a wood heater is a choice you will not regret. At Barbecue Bazaar our goal to provide the very best in affordable and attractive wood heaters to homeowners in Perth and surrounding areas. Contact us today or visit our outlet in Cannington to find out how we can help you.